Born in Catalonia in 1893. In 1926 he entered Barcelona School of Art, and in 1919 left for Paris. In Paris, he formed relationships with Picasso and other artists, and met Andre Breton, a proponent of Surrealism. 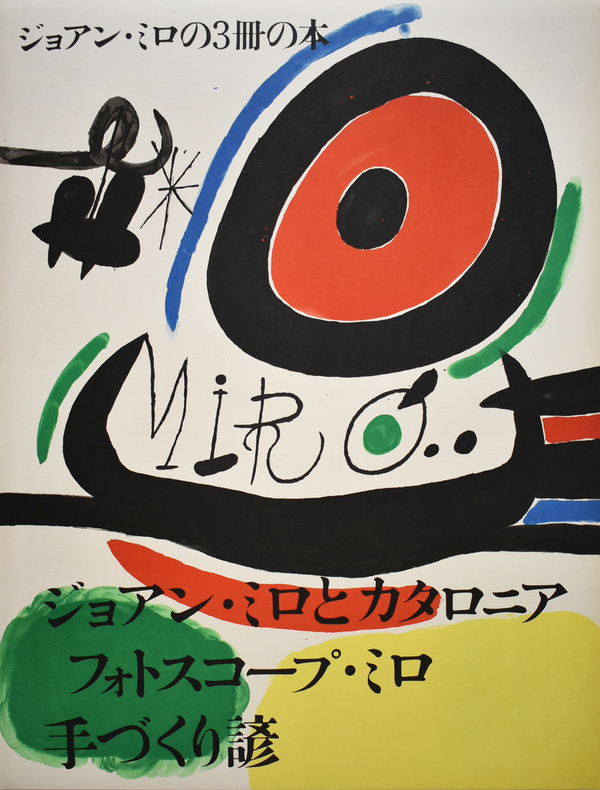 Breton saw Miro’s uninhibited style which resonated with him as true Surrealism; Miro was then invited into a group of Surrealist artists. The world seen in Miro’s works, made of familiar motifs like the moon and stars, women, and birds which are deformed into organic shapes and expressed with vivid colors, is poetic and highly valued. In 1956 he constructed a massive atelier in Parma, and from there the scale of his works also grew larger. The atelier was not limited to prints and paintings - it included space for workers in other fields, and saw the production of many types of works including pottery, murals, and sculpture. In his later years Miro created many large, public works like concrete sculptures and murals. He passed away in 1983. "3 Books by Joan MIRO　Joan Miro and Catalonia　Fotoscope Miro　Handmade Proverbs"
"Joan Miro. 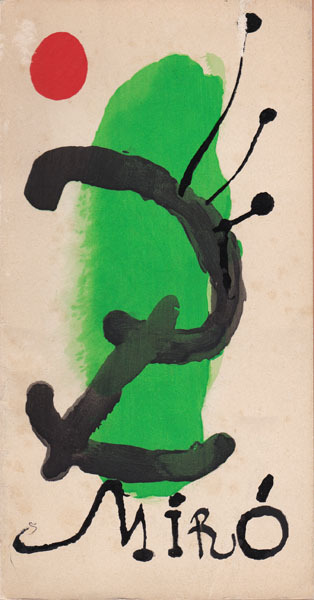 Bois graves pour un poeme de PAUL ELUAR"
＊Published in France in 1958 for Berggruen Gallery's 25th exhibition. Prints made by Joan MIRO for Paul ELUAR's poem "A toute epreuve".